We booked the holiday 3 months before, which was right after our engagement. It was exactly 3 weeks after our nikah. We surveyed sooo many other places but in the end, we chose Bali because: 1. cheap flight 2. international holiday destination 3. Good recommendation by friends and the internet. Anyhow we didn't get any tour package or anything. We did surveyed some in August 2011 Matta Fair, but you don't wanna follow a tour group schedule during your honeymoon anyway. The plane ride was 3 hours. TIP: If you're taking Air Asia, book your seats and food in advance. Saves you from ALOT of hassle. We arrived at 11.30pm because our flight was delayed thanks to Air Asia. It was fairly easy to get a cab at the airport and they were quite efficient about it too. 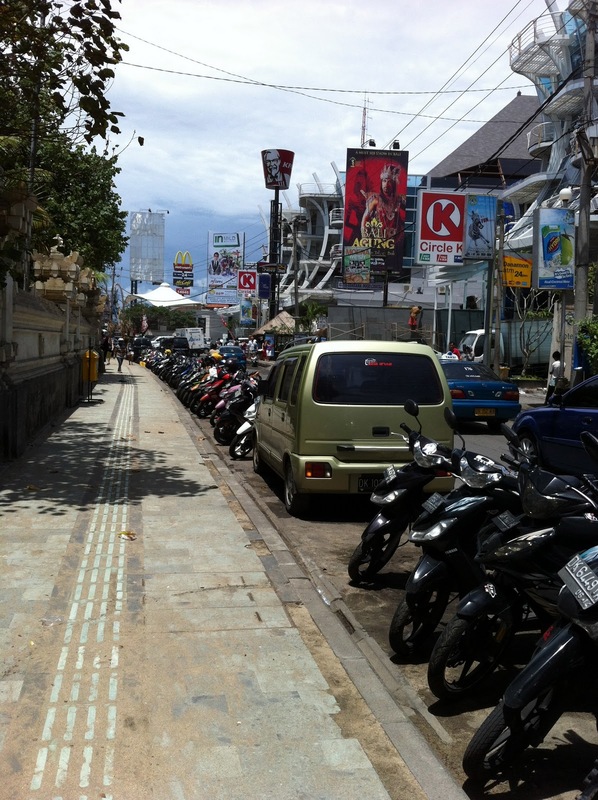 Costs about Rp 50000 to get to Kuta area. For the first 4 days, we chose to stay at...drumrollllllllll..... Tune Hotel. There's nothing much to say about the hotel. They provided us with what they promise and don't expect anything more. Would try not to go back to Tune Hotel, unless its only one person sleeping in one room. Two people sleeping in a room as large as Tune Hotel's will just drive you crayzay. There's hardly enough room to move!! Only positive thing is the bed. Even then Hubs commented the bed being too comfy. One thing that really pisses us off is the fact that the internet expires within 24 hours after activation. You can't log out to keep the hours. Each activation was RM15. 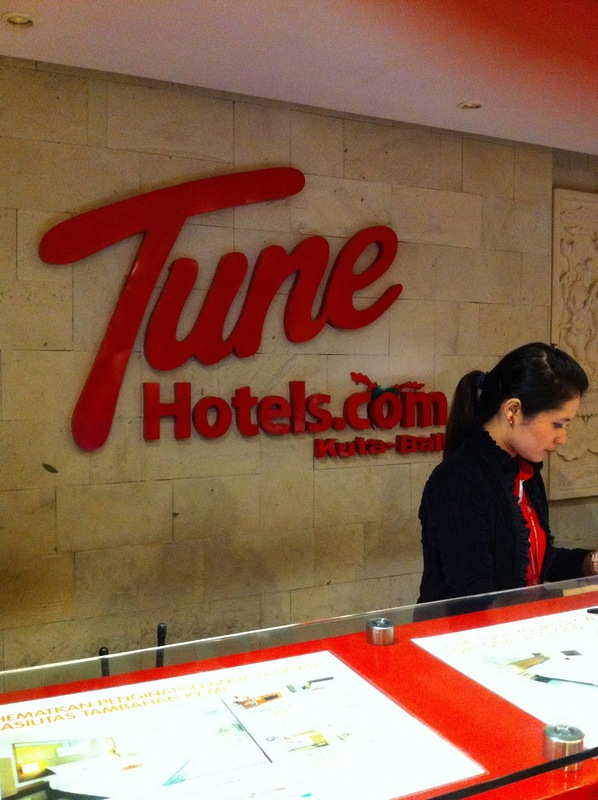 I can write a whole essay on Tune Hotel, but it'll be better for you to check out their reviews on the net. First morning in Kuta was low-key. We strolled the Kuta streets all the way to Kuta Beach, had breakfast in KFC (lols) and figured out what to do the next day. Btw the famed beach was full and surprise surprise, it was littered with garbage. Hmm. The beach was a little too overrated if you ask me. The city was covered with so many well-known brands especially those coming from Australia. Billabong, Quiksilver, Roxy, Obey, Paul Frank--just to name a few. The stores looked legit, like stores you'd find in Pavillion or Mid Valley and price was standard, but we're abit cautious about buying them because there wasn't any guarantee that the stuff was genuine. Kuta beach at sunset. I went close to the edge of the water to avoid photographing the garbage along the beach. What a shame. That night we ate at this one Nyonya restaurant. It's the only non- fast food with a halal cert. Good presentation, worth to try it out. I really can't recall the name of this place, but it was a close walk from Tune Hotel, and it's the only Nyonya restaurant around. We spent about Rp 120,000 for both of us. For the following day we signed up for a 10 hour tour to north of Bali, which is called Lovina Beach. We went to see wild dolphins! Okay it wasn't easy. The trip started at 3am from Kuta. We rode the tiny little boat at about 5.30am at Lovina Beach. We were in the water for about 2 hours and falling asleep. 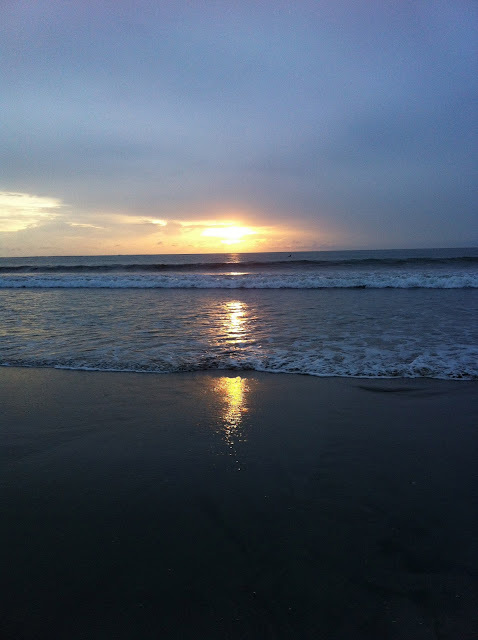 It was soo cold but being in the ocean THAT early at sunrise was nothing short of awesome. Just then suddenly we saw the flip of a dolphin's tail. After another 15 minutes, we started seeing schools of dolphins swimming ahead. They were like 20 other little boats in the water with tourists hoping to get a glimpse of the dolphins. When a school of dolphins came out, about a dozen of boats chased after them. Heck. I would be scared if I were the dolphins. They were bloody fast. Only caught its tail. Tourists chasing poor dolphins. (Including us) Well worth it. Afterwards the tour guide took us to the hot water springs near Banjar. The water was a little sulphurous, coming from the volcano. I changed my mind about getting in at the last minute because everyone dipping in were men in shorts and felt awkward to be only fully covered girl but hubs practically dragged me in. Close to the hot springs was a temple or what they call "Pura". Also did a little hike up Git Git waterfalls. Our driver, Made. Pronounced "MA-DEI". If you stay in Bali a few days, you'll notice that practically everyone's name starts with Made. Me and hubs called our driver The Real Made. The Real Made was quiet but he answers all our questions. Shuts up when me and hubs banter at the back. And he LOVES the band Spoon so we end up listening to Rindu Serindu Rindunya for 10 hours and we found ourselves singing the song even as we got back to our hotel. In the toilet. While eating. While surfing the net. Throughout the day, Made stuck with us, took our photos, hiked with us and answered all our questions and whims. We simply picked his number of the brochures at the airport. Most drivers/tour guides in Bali are experienced, so wouldn't matter which one you choose, as long as the budget suits. On the third day, we went to Tanjong Benoa. The night before, I remember reading Fatin Liyana's guide to Bali (of all travel guides) and she mentioned playing water sports at Tanjong Benoa and it was dirt cheap. So that night me & hubs read her blog on Bali and we were like, owh! Halal food is at Discovery Mall! Owh we need to bargain the water sports! So following day, when we arrived at Tanjong Benoa, Made brought us to this expensive looking operator. Why expensive looking? The boats were shiny and well-maintained, the parachutes look new and the staff were wearing a uniform with logo. They tried to charge us Rp 1,200,000 for parasailing, donut and flying fish. In the end we settled with Rp 700,000 for both of us via another operator. We could really push it cheaper, but we thought the price was already reasonable. Tanjong Benoa has a good beach. Unlike Kuta. Unfortunately you can't swim in it for fear of getting knocked down by a boat. Just 15 minutes away from Tanjong Benoa, is Nusa Dua. The place has beautiful villas with private beaches. We went to Tanah Lot Temple. Another must-see landmark. TIP: When visiting Tanah Lot temple, go during low-tide if you'd like to walk to the temple. But more beautiful picture opportunities during high-tide. 1.5 hours away is Uluwatu, another temple with breathtaking view. The temple overlooks the ocean by a high cliff. We caught the Kecak dance. A must-watch. That was the end of the fourth day! On the fifth day, we checked-out of Tune Hotel and went to Ubud. And that's another post. 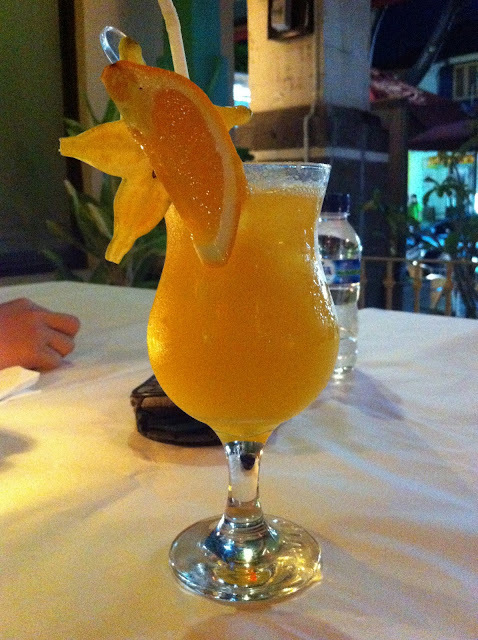 P/s: Find out what we did in Ubud by clicking here : Bali Part II!!!! 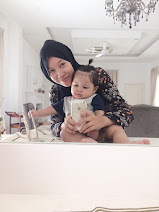 Cute blog, really enjoyed reading it and you have some lovely photos. Well written blog with beautifully clicked pictures, information for air fare is also provided..great place to visit. well written and well clicked pictures.. Loved your pictures. I too went to Bali for my honeymoon. But decided to skip Kuta and go to Seminyak instead.